The NCCP training system for Gymnastics Ontario Competition stream coaches is undergoing some important changes. NCCP levels are currently in the process of being phased out for all gymnastics disciplines. Please note that there are several differences between the Levels System and Competition Stream for coaches looking to become certified (see below for more details). The new NCCP Competition 1 course offers both Technical and Theory portions within the same course. For more information regarding NCCP Level 2 click here. Please note that certification in Foundations is not a requirement for Competition Introduction. All competition coaches are required to complete the MED (Make Ethical Decisions) Online Evaluation. This evaluation can be found under the eLearning tab in The Locker. To access this evaluation, coaches can sign into the Locker using their personal NCCP number. Coaches who have completed their Foundations training will have access to this evaluation, free of charge. Practical hours are not accepted for coaches trained under the Competition Stream. The practical requirement for certification, Competition 1 (Intro) Coach Evaluation Package, has been released by Gymnastics Canada. Only trained/certified Coach Evaluators can perform an evaluation. Details for the coach evaluation are to be agreed upon between the coach and the Coach Evaluator. Coaches/Club Administrators may contact GO to be connected with a Trained Coach Evaluator. If you are a Level 2 Certified coach (or higher) and interested in become a Coach Evaluator (CE), contact the Education Program Manager for more details. 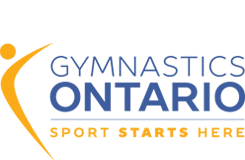 Coaches or administrators may apply for a Coach ID once they have completed their Competition 1 (Introduction) course and MED online evaluation, granting full competition floor access for Gymnastics Ontario events. Coaches must be a minimum of Competition 1 (Introduction) Trained to be granted access to the competition floor. Coaches must have completed their Respect in Sport modules and MED evaluation before applying. A Coach ID is the easiest way to verify your trained/certified status.